Now that the holidays are officially underway, a lot of us are getting ready to hit the road to visit friends and family near and far. Whether you’re traveling across the country to go home for the holidays or are planning a family vacation to get away from the chill, planning ahead of time can save you a lot of headaches later! You don’t want the stress of getting ready for the trip to dampen the overall excitement, do you? 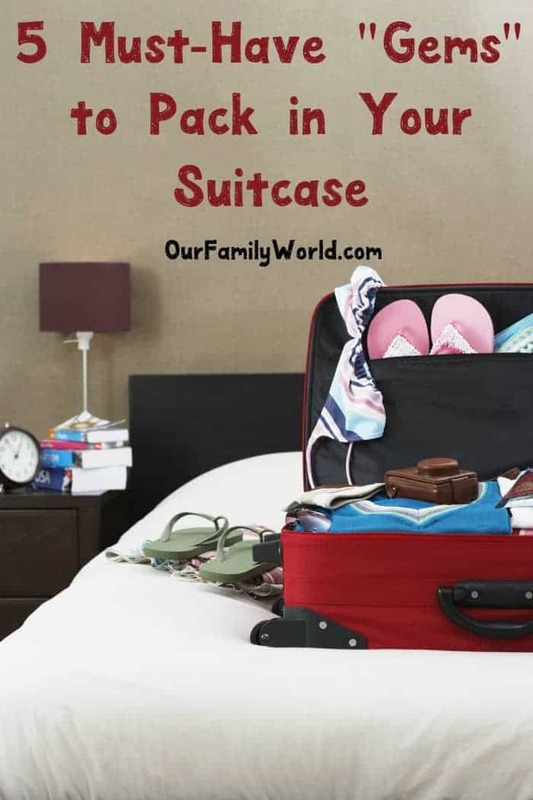 Creating the perfect packing list is key to having a successful family getaway. Often families create a huge list full of extravagant items they never actually use, and accidentally forget the hidden everyday gems they cannot live without. Below are some must-have products from our friends at Church and Dwight to include in your suitcase this season. These products are often left behind at home, but are huge life-savers when vacationing! What are your must-have gems on your family vacation packing list? Share in the comments! Gravol™: Did you remember to bring plenty of books, movies and games for your upcoming flight or car ride, but forget about the winding roads and nausea that your trip has in store for you? 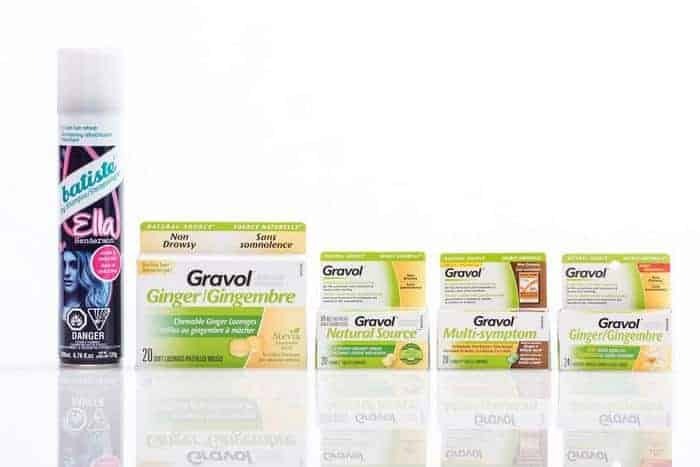 Gravol™ Ginger tablets, lozenges or liquid gels are made with naturally-sourced, certified organic ginger and will help treat motion sickness, nausea, and upset stomachs. Keep them in your purse or carry-on and you will be good to go! They are easy to swallow and non-drowsy, ensuring you are energized and ready for a great vacation. Rub A535™: After a long day of sightseeing and exploring count on Rub A535™ to soothe all your aches and pains. Rub A535™ is the perfect example of an item you may have in your cupboard but may forget to pack! It will help soothe sore muscles and ensure you are ready to tackle whatever your next adventure is! Rub A535 comes in handy for beach vacations too – don’t say you have never woken up with back pain after falling asleep in a lounge chair! Warm clothes: One freezing cold tropical vacation and you will never JUST pack bathing suits and shorts again. Always throw an extra sweatshirt and a pair of pants in your suitcase. Batiste™ Dry Shampoo: New carry-on laws and weight restrictions mean packing all of your essential personal care items can be challenging. Luckily Batiste™ Dry Shampoo is lightweight and ideal for your suitcase. With no water required and just a few quick sprays, Batiste™ Dry Shampoo saves you time while travelling time by refreshing your hair between washes! Batiste™ Tropical Dry Shampoo has a coconut and exotic fragrance and will leave your hair feeling clean, revitalized and vacation ready! Granola bars and snack food: Whether you are going to an all-inclusive or renting a cottage for the week, treats are a must! Unusual routines may mean longer periods between meals and tired travelers. Keep a few granola bars in your purse to ensure everybody stays energized and positive. Overall, every vacation should leave you feeling rejuvenated and ready for whatever the year has in store. Remember to stay organized, ask for help from the family and always pack your everyday favourite items – they will come in handy! We have a great giveaway to help you get ready for your family vacation! Enter on the entry form below. Giveaway is open to Canadian residents age of majority and ends on December 28th. OxiClean™ MaxForce™ Foam Laundry Pre-Treater – To help blast away even the greasiest of stains with its foaming action. OxiClean™ Extreme Power Crystals 26 PAK (468 g) Pouch – To remove stuck on stains and help your dishes sparkle! No one wants to come home to dirty dishes, after all! OxiClean™ Versitle Stain Remover – To to get rid of tough stains! Arm & Hammer™ Truly Radiant™ Clean & Fresh Toothpaste and Spinbrush Battery Toothbrush – To ensure your smile is bright and white during your travels! This post is sponsored by Church & Dwight. All opinions are our own. I bring wipes, sunblock and tea bags. Sunscreen first, vitamins, sunglasses, etc. I take wipes, sunscreen and immodium. I always pack Gravol & Immodium in case anyone gets sick. I always pack a first aid kit. I always pack Tylenol and Gravol!! I always pack Gravol. I can’t travel without it. To the brush and a camera too! I always pack extra batteries. I always want to make sure I pack my hand sanitizer! Baby wipes. My kids are older now, 8 and 9, but I’ve never stopped buying them. They work for everything in a pinch! A mini pharmacy in case of emergency! I always pack my special toothpaste and electric toothbrush. I always pack a First Aid kit and any medications that everyone needs. I always bring disinfectant wipes, candles, medication, personal hygene products, & healthy snacks. I always pack a small fan for the bathrooms-they never have a fan and the mirror steams all up and it get very hot in there as well. I always pack my medication and camera.